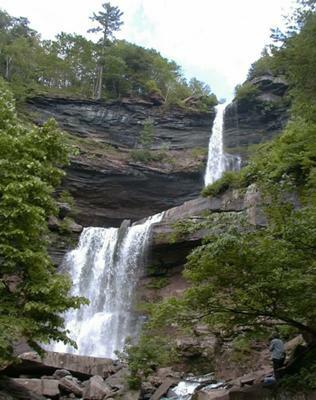 The nicest waterfall I know in NYS is Kaaterskill falls in Ulster County in the Catskills. It’s a two tiered waterfall with the upper falls 175 feet and the lower falls 85 feet. It’s at the end of a short (maybe 1/4 mile) trail just off state highway 23A. It’s very pretty, not too heavily visited (go one a weekday and you should have it to yourself), and has some good swimming holes in the river below the falls.